Ron Westphal Chevrolet has a number of different used Chevrolet vehicles in stock to meet the needs of customers in the Aurora, IL area. Since several customers opt to trade in their existing vehicle when they make a purchase of a new vehicle, the savings is able to be passed on to other customers. These vehicles still have plenty of life in them, making them a great choice for customers on a tight budget, looking for a second vehicle, or a vehicle for a new driver in the family. Because they are so reliable, used Chevy cars are a great addition to your fleet of vehicles. 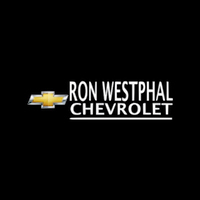 At Ron Westphal Chevrolet, we offer not only used cars, but also certified pre-owned Chevy vehicles, which provide consumers with the ability to save on the costs of purchasing a vehicle, but also give some warranties and guarantees about their vehicle purchase. Certified pre-owned vehicles undergo an inspection and meet strict criteria, unlike other used cars. This gives an additional peace of mind to consumers on the quality of the vehicle they are considering to purchase. The used car inventory at Ron Westphal Chevrolet is being updated constantly. Because of this, customers should act quickly if they see a used car they like at the dealership. While many of our vehicles are able to be viewed online, there are significantly more available at the dealership to consider. To see the most current inventory of used Chevrolet cars, simply stop by the showroom and speak with a member of the sales team today.